The NEW AC Motor & Control Handbook is Here! AutomationDirect’s Practical Guide to AC Motors and Control Options is now available with detailed info on these ubiquitous motors and the numerous methods used to control them. The basics of AC motors and how to replace or repair them are covered along with the most common application types. The decision to use contactors (across-the-line), soft-starters, or variable frequency drives hinges on a range of factors, and this handbook covers them all, along with sizing tips and gotcha’s to avoid. 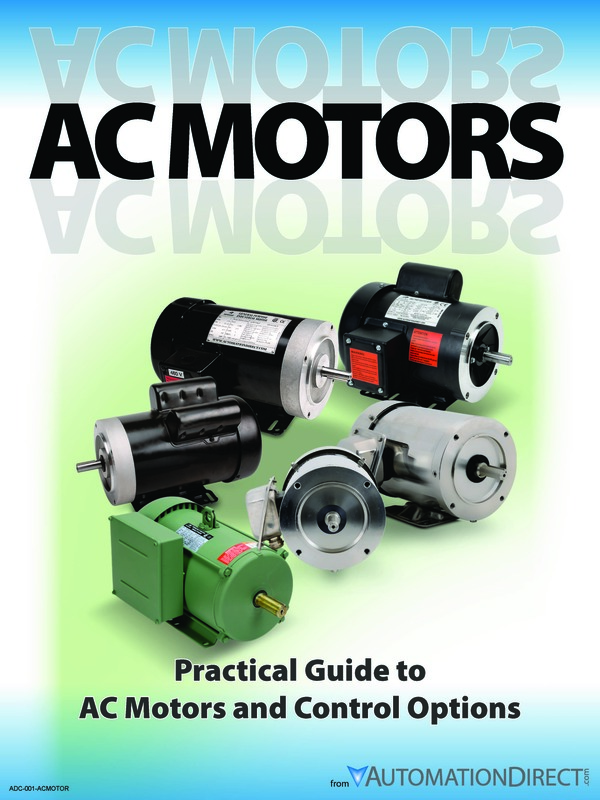 Our practical guide is a must-read for those new to AC motors or veteran professionals alike. What are AC Motors and How Do They Work? Replace or Rewind an AC Motor? real world examples of these techniques in action. Please fill out the form below to receive your eBook download. Filling out this form will put your name on our email newsletter list, which can be opted out of at any time.